The Tyne Angling Passport was an early source of hope for capturing the three North Eastern counties. Cleveland having lost its singular identity at the end of the last Millennium, I was convinced that Northumbria, Tyne & Wear, and County Durham were all mine for the having, and this was confirmed by Geoff H.
A wedding invitation to Sue and I from oldest friend ‘Pakers’, whose daughter Tania, was to be married at Hexham Abbey in March, got me into frenzied search mode, and excitement was at bursting point when reading the Tyne Rivers Trust site, revealed that the season opens in the region on March 22nd! I had already fished opening day on the Usk on the 3rd, and here was another opportunity to wet a line before my traditional start on the 1st of April. 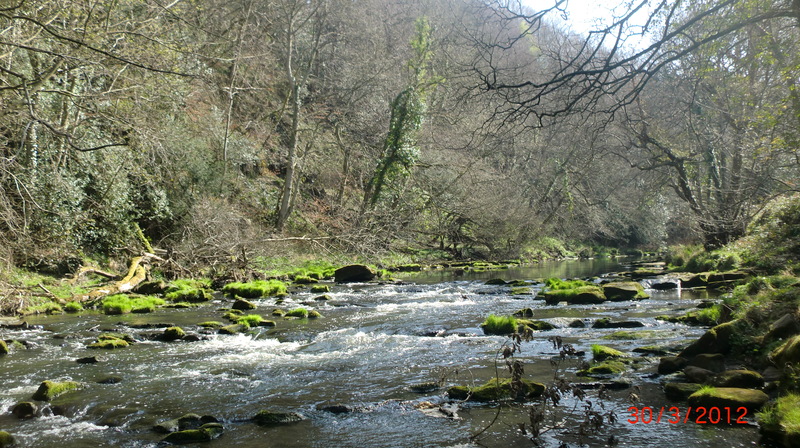 The bottom of the beat is close to Damhead, near Axwell Park, and is also known as Lady Steps or Derwenthaugh Dam. I was fascinated to watch a construction crew rebuilding the dam, and incorporating a salmon ladder to it…a welcoming signal. so along with brightness, heat, and an eager population of cyclists, dog walkers, joggers, and families, there was not a sign of a fish! and for the first time saw feeding fish. But they remained doing so, and on naturals, not my artificials! …and apologies for not replying sooner. I’ve had a quick look at your blog. Wow. You certainly get around. 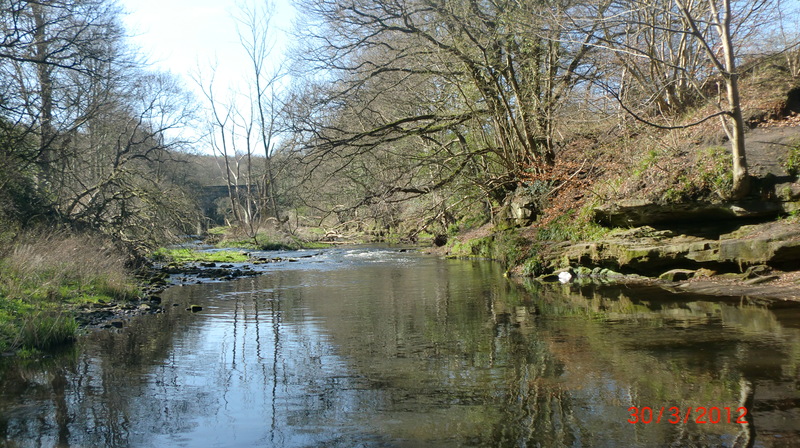 The Derwent is fishing very well at the moment. Quite frankly I’d be quite happy on any of our stretches at this time of year. 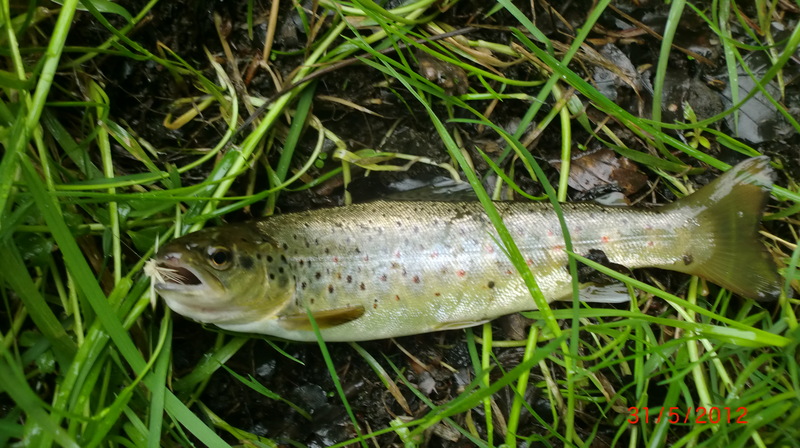 The water upstream of Nine Arches, up through the meadows has recently been stocked and, as always, has a good stock of wild fish as well. 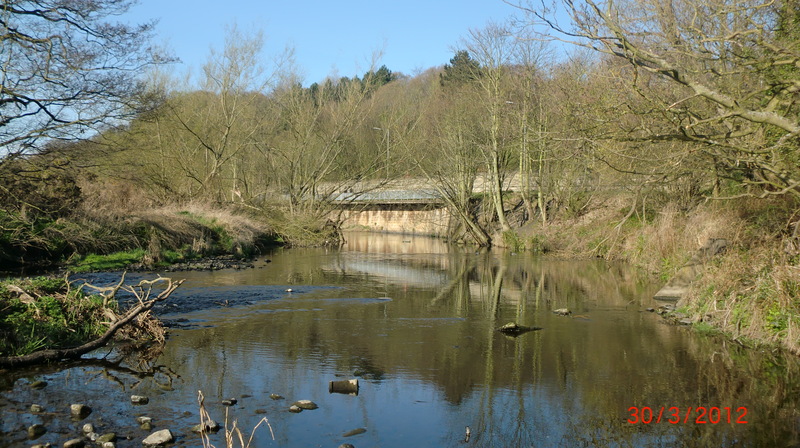 Another good stretch is the bit upstream from Clockburn footbridge (parking at Winlaton Mill ), crossing onto the south side at the next footbridge and carrying on upstream to the boundary. Mid afternoon through to the evenings seem to be the best period at the moment. As for tactics – anything you enjoy will probably work. I’m a big fan of things like elk hair caddis and poly wing duns at this time of year. As you are travelling north I’m heading south (to North Devon ) on Fri 1st June for my annual holiday so unfortunately I’ll not be able to join you.. I hope you have a pleasant stay and the Derwent is kind to you. I’ve enclosed a recent photo of our secretary with a fish he’d caught over the weekend to whet your appetite. ….so this was most encouraging. After the morning wetness high in the Pennines,the weather nearer the coast was better and I was excited by the prospect of some early evening mays, and perhaps some spents, too, and indeed,on arrival, I saw a few mays coming off….before the rain caught up with me! 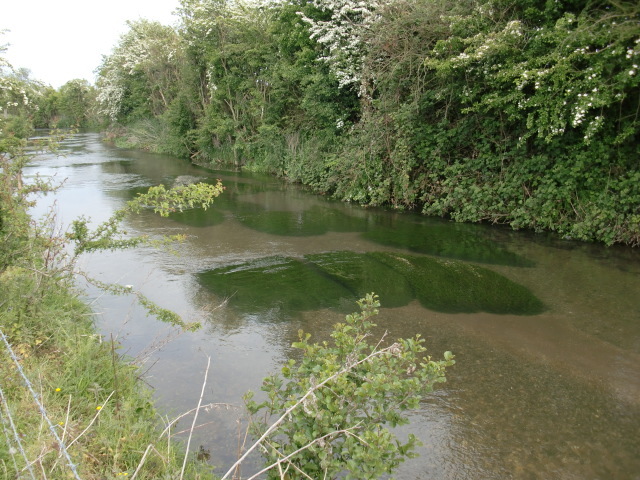 By this time I was in the stretch below Thornley Woods which I had liked in March, and between showers had noted some fish moving below the overhanging trees, where to distinguish between fish coming up, and plopping rain drops was difficult. 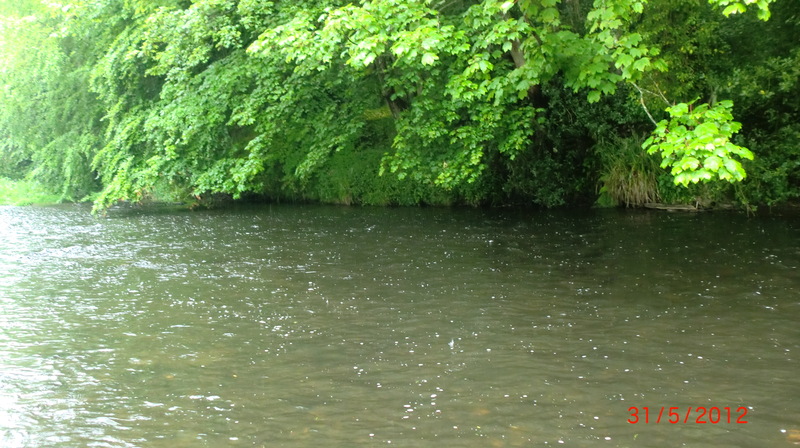 and a second, just a few casts later, and then the respite I had hoped for, was overcome by the heaviest downpours, and I retired gratefully …to a delicious dinner at the Beamish Park Hotel, nearby. 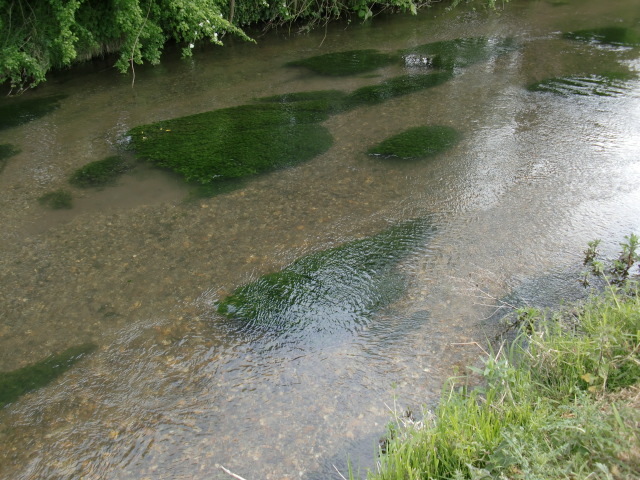 The APDVAA water is 4.5 miles long and is varied and interesting. 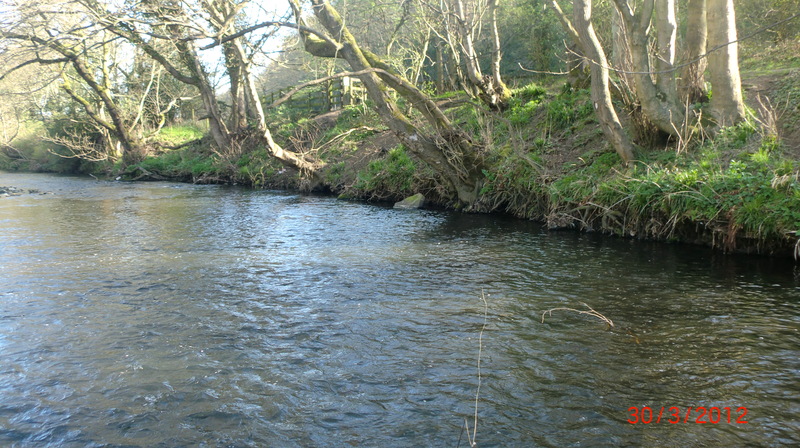 Its website is colourful and informative, and when ‘up North’ this river makes for a great day’s fishing, and is somewhere I would like to fish again. 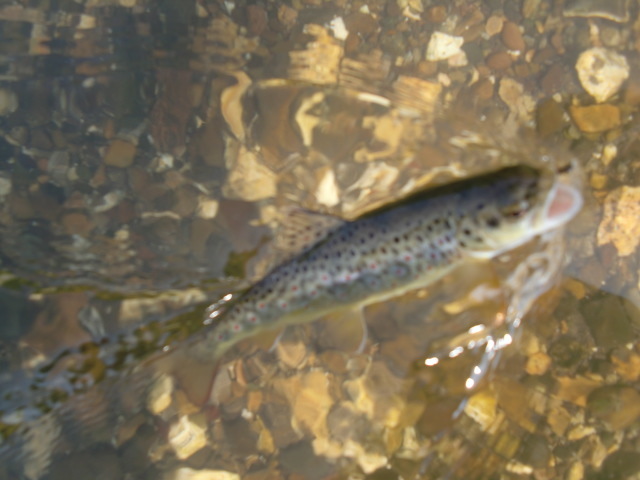 Its beats are #’s 17, 18 and 19 on the Tyne Angling Passport programme, and requires two vouchers, per beat. 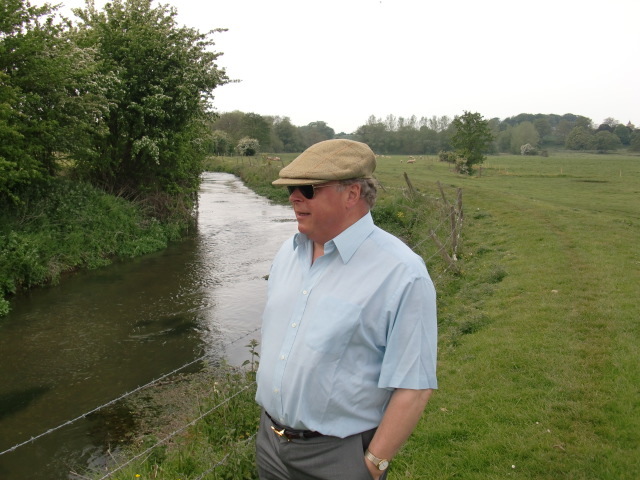 Well, just two counties in one day, Geoff, and I accept your kind invitation to fish Northumberland together in September, when he has challenged me to capture a Tyne salmon, too….something to look forward to.